Home World Championship: Mallakhamb India win team event at first-ever Mallakhamb World Championship. India win team event at first-ever Mallakhamb World Championship. India emerged as winners in the team event at the first Mallakhamb World Championship that concluded on Sunday. The two-day tournament was held at Shivaji Park in central Mumbai, in which participants from 15 countries - Spain, Germany, Czech Republic, Italy, USA, Iran, Norway, England, France, Malaysia, Singapore, Japan, Vietnam, Bahrain, and hosts India - competed, a media release said. The team championship was won by India with 244.73 points, while Singapore stood second with 44.45 and Malaysia came third with 30.22 points. During the event, German mallakhamb team coach Ruth Anzenberger presented an audio-visual presentation about the workshops and practice of the ancient Indian sport held in his country. The German team also demonstrated their skills on rope as well as pole mallakhamb, the release stated. 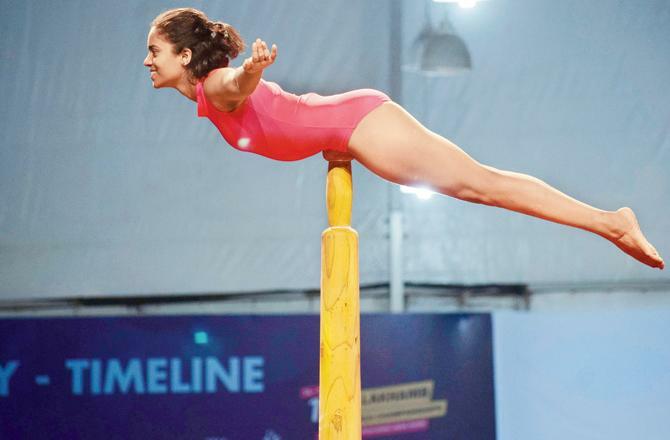 The traditional sport is characterised by athletes performing a variety of yogic and gymnastic poses while suspended from a rope or on a pole.